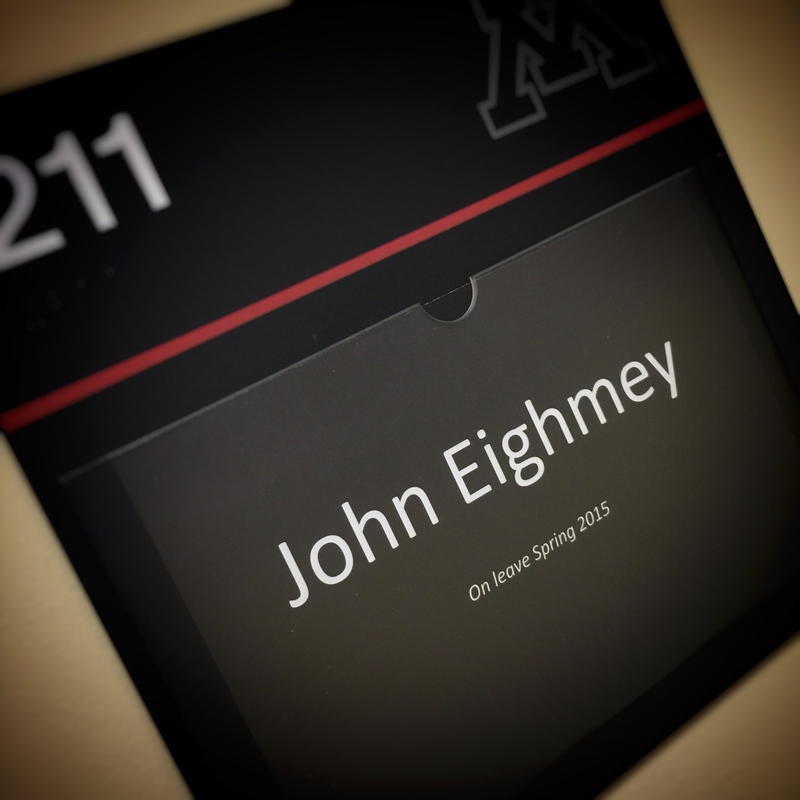 My grad school advisor and main professor from the University Minnesota, Dr. John Eighmey, has just retired. As the Mithum Chair of Advertising at the School of Journalism and Mass Communication, John started and nurtured the professional masters program in strategic communication. The following is the speech I was asked to give on behalf of the grad school alumni at John’s retirement celebration. 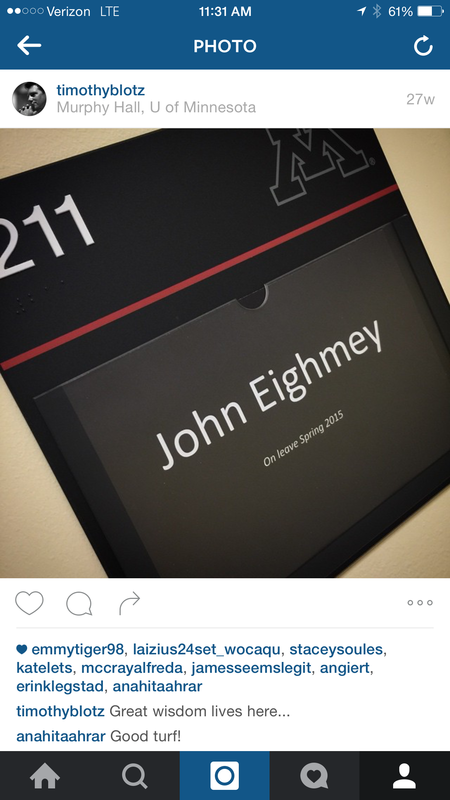 There’s room on the second floor of Murphy Hall with a name attached to it. It’s room 211. And the name on the door is John Eighmey. To know John is to know his love for great metaphors. This one worked. You created the turf where wisdom grows and lives are transformed. And when you stood on the turf of the classroom there was no one better. You often talked about “gift-like objects.” And we laughed. But we got it. We got it because you were and are that gift-like object to us. You’ve performed so many roles in your professional career. Scholar. Advertiser. Regulator. Researcher. Everyone in this room would strongly argue you saved your best role for last: Teacher. We’ve all had teachers that made a difference. That someone who held the magic keys to unlock the passions and excitement we didn’t know we had. You taught us that insights were nothing more than truths hidden in plain sight. And for most us as students, you made us see the insights in ourselves that no one else knew was there. You held the keys and unlocked the locks. And what you taught us we can still recite in perfect memory. There’s Eighmey’s Law: In order for an advertisement to be effective it must get noticed. And in order for it to get noticed, it must be different. John applied the same law to the formation of the master’s program in strategic communication. He made it different. He designed it as a cohort model. I like to call it an agency model. Because each one of us in the cohort came from a different professional discipline where we served each other, taught each other, supported each other. Failure was not an option. I defy you to find any online program to meet the same rigor. For all the Hallmark cards you helped send, for all of the long distance phone calls you helped connect, for all of corporate profits you helped protect, for all of the consumer insights you helped reveal we know that your greatest work is in this room. 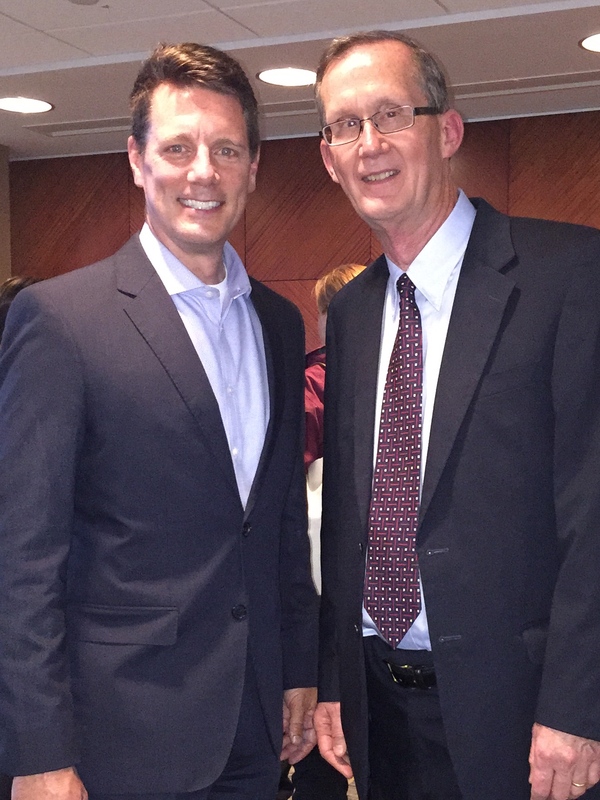 John, you didn’t just teach, you transformed lives, built careers. Wisdom lives here. And because of it, we’re all walking on good turf tonight. Note: John is now retired, but still active in advertising analysis and criticism. Follow his blog at the Psychology of Advertising.